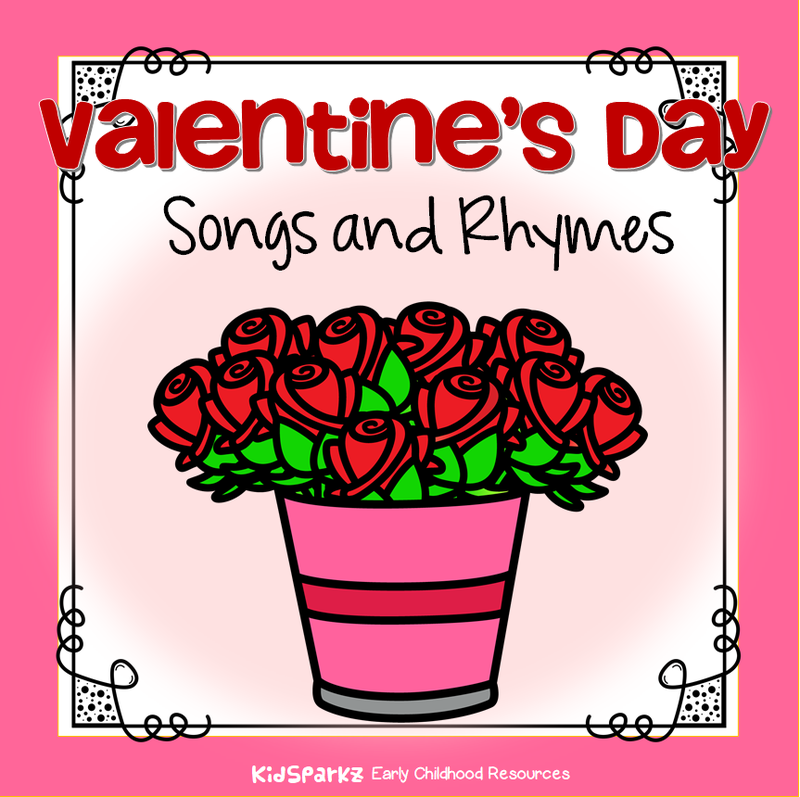 Here is a collection of the words for some songs and rhymes that coordinate with the popular early childhood theme Valentine's Day, and can be used when planning activities and curriculum for Preschool, PreK and Kindergarten children. One is silver and the others gold. Will you meet a friend of mine? Friend of mine? Friend of mine? (Name) bought one and then there were four. Four pretty Valentines shaped like a "V"
(name) bought one and then there were three. Three pretty Valentines said "I love you"
(name) bought one then there were two. (Name) Bought one and then there was one. Won't you bee my Valentine? And buzz away with me? Because your my honey bee! Valentine in a box, sits so still. Won't you come out? Yes, I will! Love somebody, but I won't tell who! Climb a ladder, reach for the sky! Kiss and a hug 'cause I love you! You're my bright red cookie jar. You're my own true Valentine! The sun will shine and the wind will blow. If you will be my sweetie pie.